Set to work helping with the horses' beds! Molly arrived here a lady but........! Millie, her sister looks on in disgust! Making sure he hangs on to his fav toy! Well, he was at that particular moment! Fay and Barry would like to thank Mags and Stuart for looking after our precious wee girl, Katie, a 5 month old Jack Russell Terrier. What a brilliant place for anyone to leave their dog! It was great to go on holiday to Las Vegas with our minds completely at rest knowing Katie was under such wonderful care, and to be able to see photos on Facebook of her and her new pals enjoying themselves was fantastic! Each night after getting back to the hotel after an exhausting day, we couldn't wait to hear news from Mags and see photos on Facebook of all the antics Katie and her buddies got up to! Nowhere compares with Ayrshire Dog Care, and we (including Katie) cannot recommend them highly enough. Katie says "Thanks, Mummy Mags and Stuart for a wonderful holiday with you and hope to be back soon"! Can't believe its a year already! Thanks to you both for having the patience to deal with us as a family! I believe that fate played a hand in us coming to you to look after Harley. Without you both, we don't know what we would do. You have both played a huge part in making Harley the well adjusted dog he is today. We hope that you will continue to be a part of Harley's life for a long time in the future. Monty stayed for two nights and a full day. Throughout our trip, Margaret kept us posted via text on how he was getting on - playing with the other dogs, off to the activity course, curled up on the duvet etc. It sounded like he was having an all day party! All the important stuff like food and treats were taken care off before hand in the introduction questionaire, so we knew he was getting his proper intake. Really can't recommend this service enough - a safe, fun and relaxing environment for all dogs. I'm sure Monty agrees as when we picked him up he didn't want to leave and whined all the way home! Next time we go on holiday, we know that Monty will be off for an even better holiday than us! It has been several months now since my li'l Jacob was warmly welcomed into the family of Ayrshire Dog Care and I can't thank Auntie Mags and Uncle Stu enough! Despite Jacob being a little terror/escape artist (he's a lovable character really! lol), the Fordhams' passion and commitment have ensured a safe, secure and fun environment for Jacob and all of his other friends! From an owner's perspective, I would have no hesitation in recommending Ayrshire Dog Care, and from a dog's perspective - well, I think that Jacob's constantly wagging tail and increasing levels of excitement as he approaches Muirburn says it all, really! There is not enough chocolate in the world to show my thanks and appreciation! My friend recommended Ayrshire Dog Care to me and we haven't looked back! I drop Ollie, my Golden Doodle, off most mornings knowing that he's in good hands. He loves playing with all his other chums whilst in Margaret's care. Ayrshire Dog Care is so accommodating, tending to all Ollie's fussy eating habits and needs. He is a rather large dog, full of fun and energy, so when I pick him up in the evening, I know he will be exhausted - he sleeps soundly all evening and night! My colleagues and patients always laugh when I tell them I'm away home to pick Ollie up from Doggie Day Care - I tell them its just like a nursery for children - only much more fun! My Spaniel, Bailey, has been going to Ayrshire Dog Care since he was around 6 months old, and our Labrador, Gracie, joined him when she was just 10 weeks old. They have both been so well looked after that they love going - they get to run around freely, playing with their friends and have home from home rest areas to have a nap (Gracie's top spot last winter was curled up beside the Aga!). I know I can leave then and get them back in the evening tired and happy. They both stayed for a fortninght recently while we were on holiday, and we were kept up to date with pictures so I knew they were enjoying their holiday as much as we were enjoying ours. Margaret and Stuart are genuine dog lovers who treat the dogs like their own - its not just a business to them. They take great care when introducing new dogs so there are no fights and the dogs are so well socialised they play beautifully together. Margaret and Stuart are very accommodating of my varying shifts (and some short notice changes! ), and I can't imagine sending my dogs anywhere else. My little dog, Izzy, and I would like to say a big thank you to Margaret and Stuart for making her stays at Ayrshire Dog Care so much fun. Izzy spends a lot of her time sleeping after these holidays which means she has had a whale of a time and has used up all that stored up energy! Hopefully she will be able to spend future holidays at "Muirburn" and I will then be able to enjoy a guilt-free time on my own holiday knowing that Izzy is being well looked after and having a wonderful time with all her doggie pals. 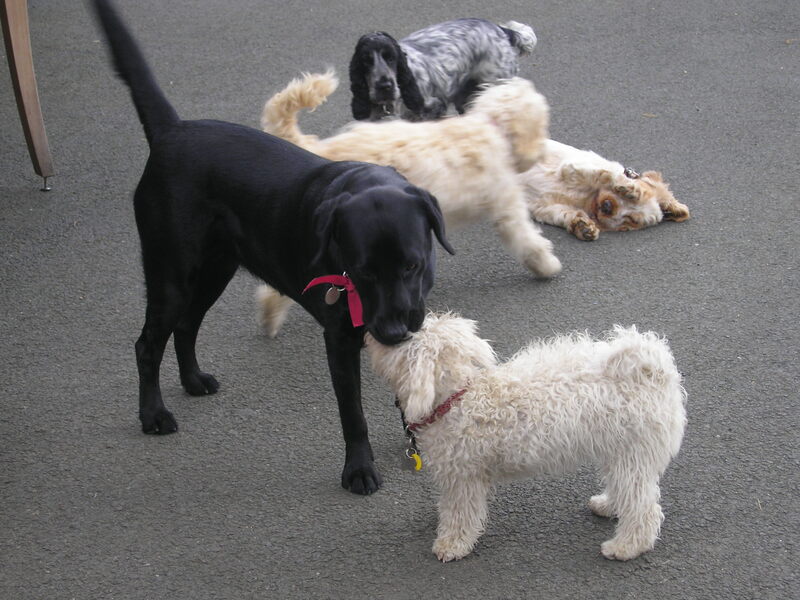 Spending time at Ayrshire Dog Care has also done wonders for her social skills. Prepare to leave your ego behind when dropping off your dog at Ayrshire Dog Care as he wont give you so much as a backward glance - it really is doggy heaven! Margaret was recommended to me by a colleague who couldn't sing her praises enough. After seeing her puppy blossom into such a well balanced, well socialised dog, I really was convinced of the merits of Ayrshire Dog Care and the outstanding service provided. For this reason, I finally took the plunge and decided to get my puppy, Flynn, after ensuring Margaret would have space for him while I was at work - and my God, he took to Margaret and Stuart like a duck to water - which is saying something as he was very wary of strangers! When I take him out on his walks now, people are always remarking on how well their dogs respond to Flynn - this is completely down to the socialisation received under Margaret and Stuart's guidance. I come home each night with a happy puppy who sleeps all night with his paws going, no doubt dreaming of his adventures of the day. Thank you, Margaret, you have given me options I would never have had otherwise. We were looking for someone to look after our dog, Willow, while on holiday. At that point, she was only six months old and a friend recommended Margaret. We took Willow to meet Margaret before our holiday and immediately saw that she has a way with dogs - Willow took to her immediately. The fact that Willow would be living in Margaret's family home, with other dogs was what made it for us. We wanted to go away knowing our pup would be well looked after and cared for - we need have no worries. It was a joy when we returned to see Willow so happy. Shortly after we dropped Willow off we received a text from Margaret to provide an update on how she had settled - very well! Throughout our holiday, we received updates and pictures by email, text and Facebook - all of this was quite unexpected and made our holiday. We have no hesitation in recommending Margaret and Ayrshire Dog Care to anyone who truly cares for their pet. I could rave for hours about how wonderful Ayrshire Dog Care is. Mags took such good care of our two labs, Milly and Holly while we were sunning ourselves in Turkey for a week, not to mention our cats and rabbit who were also well looked after while we were away. It was so much nicer for the little ones to be cared for in their own home and they all took to Mags with no problems at all - even the grumpy old rabbit came out to say hello! We hate leaving any of our animals but it is especially hard to leave the dogs, we always feel so guilty and just seem to spend every day worrying about them instead of enjoying ourselves. Not this time though - we booked them in for a trial day before we went and from that very first day we knew they'd be fine without us. Milly has always been very clingy and nervous of new people but by the end of the day she was acting like Mags was her new best friend, and both dogs came home thoroughly exhausted with wagging tails, so we knew they'd had a good time! We couldn't believe it when Milly hopped into the van and travelled home with no fuss - she's had us wrapped around her paw for four years, pretending she was too scared to travel anywhere unless in the back seat of the car (with her head on daddy's shoulder, of course! ), so we were convinced she'd refuse to get in the van or freak out. especially after spending the day in a strange place. Instead she went in without a backward glance and hopped out at night with a wagging tail, so needless to say we've now relegated her to the boot for every journey! After spending the week with Mags she really is like a different dog, she's so much more confident and playful and is acting like a puppy again. Its lovely to see her interacting with other dogs instead of ignoring them. and our younger dog Holly seems much calmer, although she might be just recovering from a week of great walks and playing with her new boyfriend, Hector! They've had such fun that we are planning to make it a weekly arrangement. We've got no choice really - it'd be far to cruel to introduce them to Doggy Heaven and then stop taking them there! We wouldn't hesitate to leave any of our animals in the care of Mags again and it was worth every penny to have a guilt and worry free holiday. I just wish we had found Ayrshire Dog Care sooner instead of missing out on four years' worth of holidays! "Home from Home" for Arch when he goes to stay with Aunt Mags and Uncle Stuart. Oh and he does love the home comforts they provide as can be seen in "the gallery"! When we were away for a week's holiday, he had a ball in the sandpit and paddling pool - just the same as his mum! Just a short note to say how much we enjoyed our holidays again and to say thanks for processing our holiday snaps so quickly.The accommodation was, as usual, first class. We particularly enjoyed the TV room in the evening, watching TV with Uncle Stuart - we can't speak highly enough of him - and the chill room was to die for. The food was good too! It was also very nice to meet and socialise with the other guests during the day but a bit puzzling to find they disappeared for the night around 5pm. Perhaps they stayed in their own rooms as we never saw them again until after breakfast the following morning! All in all a fantastic holiday and hope to see you again soon for another stay. They say first impressions are lasting impressions and that is definitely the case with Margaret from Ayrshire Dog Care! We just knew when we first met her that she was a very special lady indeed. We had lost our beautiful boy Aaron, in January and were obviously heartbroken. Our lives were so empty without Aaron but with help and thanks to Margaret we were able to embark on a new adventure with another German Shepherd puppy, Jaro. We both work full time and wanted to offer our new baby the best we could in life, and that is truly what Ayrshire Dog Care provides. Jaro is a very, very happy wee puppy, well socialised and can play safely and happily with all his pals, under the gentle, caring eye of Margaret, in a beautiful, natural environment surrounded by the gorgeous Ayrshire countryside. Margaret goes above and beyond the call of duty - keeping in touch with us to let us know what Jaro is up to, genuinely caring for Jaro as if he were her own. This isn't a job for Margaret it is a vocation because of her love of animals. Even when Jaro isn't with her, she is still in touch with us to see how he is doing and has given us tips on training, diet and health, obviously gained through her love and experience of animals. We can go to work knowing that Jaro is having the time of his life - we know if he could talk he would tell us how happy he is. When the car is going up the drive, Jaro is going crazy to to get to see his Auntie Margaret, Uncle Stuart and all his furry friends! Our home and lives have that extra special spark again, thanks to Ayrshire Dog Care. this is mine - get your own toy! I found out about Mags after Poppy had had a bad experience with a "dog walking service". I was told that she was too humanized and didn't know how to handle dogs. I was told Poppy couldn't go back to them again as she was too timid with them. I was devastated to say the least and thought I had a real problem on my hands. I was determined not to give up on her and came across Ayrshire Dog Care on a web search. I contacted Mags and spoke through our problems. We took Poppy to meet Mags and she put us completely at ease and reasssured us that with time, Poppy could be happy around other dogs. Mags suggested a plan to help Poppy ease herself in, without pushing her and taking things at Poppy's pace. This is what we did with Mags contacting us throughout the day to let us know of the progress as it was happening - how many people would do that? We cannot thank Mags enough for her ongoing help and encouragement in helping Poppy and in making her feel comfortable around other dogs, in the safest and most caring manner. Within two weeks, Poppy was so well settled and learning so much from her friends. There is a huge difference in her confidence which has been noticed by others. We've still got a long way to go, but Poppy is so very happy on her visits there. I am, and always will be eternally grateful to Mags for helping us through this period and can't thank her enough. 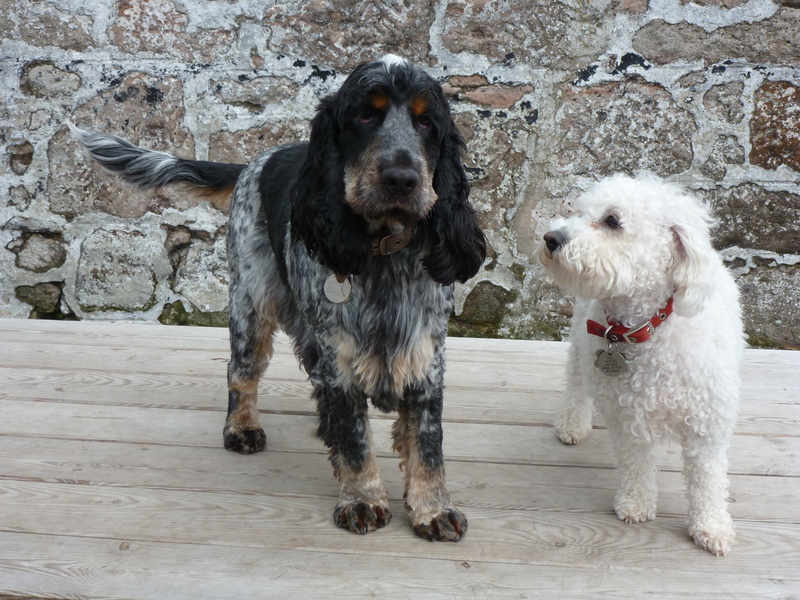 Its not just a dog care service that Mags and Stuart provide, its a safe, fun haven for dogs. The last time our 6 year old drove there in the car with us and saw the dogs playing, she said, "I wish I was a dog". When you see the fun the dogs are having there in the stunning surroundings, you have to agree! Having just returned home from picking up Bute after his stay with you, I wanted to say "thank you" for looking after him and for the welcome you gave us when we visited before we left Bute and when we picked him up again at the end of our holiday. You have a great facility for the dogs and obviously enjoy what you are doing. Having visited a couple of other facilities prior to booking up, yours stuck out not only through your welcome of both Bute and ourselves, but also the overall hygiene and conditions of your grounds and facilities which are superb. The paddling pool and sandpit for the dogs are nice touches! The texts you sent us on how Bute was getting on and the photos of what he got up to were a nice touch too. We will definitely book Bute back in when we go away on holiday next time. 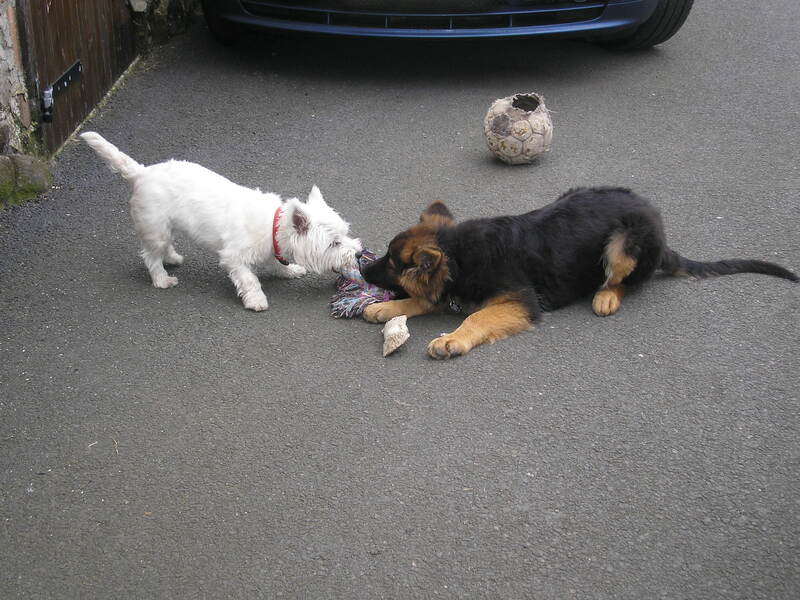 Maisy is one lucky puppy dog as she spends 5 days a week with Margaret in the "fun house" at Ayrshire Dog Care. She is a very well balanced dog who loves everyone and everything and Margaret truly works wonders with all the dogs she looks after. Margaret has even conquered Maisy's fear of trains! I'm sure Maisy is looking forward to a few nights' staying over whilst we are away! This truly is her second home! Toby, 16 years old in September, a cross breed whom I rescued from Glasgow Dog Home in 1999. When Toby met Margaret on our first visit to Ayrshire Dog Care Service, she made him welcome and Toby just wandered around the room he would be in. We went outside to explore the safe garden area for small dogs and again Toby looked at home, sniffing around quite happily. That first gave me an insight into the care Margaret would give to my dog when we had a week's holiday. I was happy to place my faithful friend, Toby, with her while I was away. Margaret gave us peace of mind and Toby seemed to realise that she would look after him when his "mum" was away and that he was in safe hands. I cannot thank Margaret enough for the loving care she gave to Toby and I will not hesitate to place Toby in her care if I require to do so in the future. Went on holiday recently and left our two Cockers, Molly and Millie, in the care of Margaret who owns Ayrshire Dog Care. Can't speak highly enough of the fantastic way our "girls" were looked after. It really was "home from home" for them with one to one care and attention. Margaret was superb, sending us texts to put our minds at ease as this was the first time we had left them. The facilities are second to none and above all she loves what she does, which means no worries for us. Would not hesitate to use Margaret again and would recommend her to anyone needing overnight or day care stays. I decided to contact Ayrshire Dog Care about walking my two dogs after checking the website and having a good gut instinct about them - and I'm glad I did! Margaret immediately put myself and my two dogs at ease during our first meeting at her home - after 10 minutes Dixie the Doodle was chilled out on the rug and ready to stay - a great sign. The personal service provided by Margaret from day one has been fantastic. I am happy that Dixie and Casey are well walked and looked after and Margaret gives me updates on their progress and behaviour! I wouldn't hesitate to recommend Margaret and Ayrshire Dog Care. Thank you again for looking after our two dogs recently. We appreciate not only your obvious fondness for animals but your common sense approach to Katie and Misty in dealing with their very different natures. I'm sure they are going to love having you back .....! In addition, from the "human" point of view, the printed information is clear, comprehensive and attractively presented. After my divorce, I was put in the position of having to occasionally put my dogs in someone else's safe hands to attend business trips. 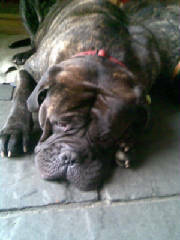 My two Bullmastiffs, Boris and Ella, had never been to kennels and with Ella being six years old and the dogs being very large, I was very nervous about the idea. I contacted Mags after much searching for the kind of service I would be happy with. Ayrshire Dog Care provides a home from home environment, and my dogs love being there although I'm not sure what Stuart thinks about being followed everywhere by Boris! I have no qualms at all about the dogs staying with Mags and Stuart, they are well cared for and always happy to go to someone who genuinely loves them and lets them go about their daily life just as they do at home. It has also been a bonus that they get to socialise with other dogs and animals which they thoroughly enjoy. Scooby enjoys his time with Margaret at Ayrshire Dog Care so much that he cries on the way down the drive when we take him home! Scooby is welcome any time, day or night and even with my shift work, he's always accommodated. We drop him off, knowing he'll come home happy, contented and thoroughly tired out! Most importantly, all the chair legs are still on the chairs when we get home! Margaret, Just wanted to say how delighted I am with everything you do for Summer and myself. I couldn't have asked for a better service! I can go to work in the knowledge that Summer is in the best hands. You go above and beyond the call of duty and its thanks to you that I have such a happy wee dog. Having help toilet training her within a matter of days was just exceptional! You have been a life saver and know from Summer's reaction to you when I bring her in the morning that she is so happy to be with you. I would not hesitate to recommend your services. Thank You! When I first decided to return to work, I pondered long and hard about how I would manage both work and looking after my most precious dog. I was given Margaret's (better known as Mags) name by my vet. Scalrett, my dog, and I went to visit Mags and I knew immediately without trying anywhere else to find a sitter for Scarlett, that we had found "THE ONE"! We - Scarlett, Mags and myself bonded right away and we have never looked back. Mags is more than just a sitter, she has become a friend and most of all, its not just a job for her, she genuinely loves all the animals in her care. I would heartily recommend her to anyone - she is an angel! Margaret has created the perfect environment for any dog - a "safe haven" and a veritable "home from home". My Beagle, Bella, practically ambushes Margaret when she comes to collect her for Doggy Day Care every Sunday. Muirburn is a fun and sociable retreat for any dog, and each dog is given the V.I.P treatment. It really is a "dog's life"! I can't recommend Ayrshire Dog Care highly enough, to anyone worried about having their pet looked after, whether it be on a day care basis or a daily walk. Hector, my one year old large Labradoodle absolutely loves his days with Margaret and Stuart and all notions of guilt about not being with him quickly went out of my head when I saw how well he is cared for. In fact, he has such a good time that often I can't get him back in the car at the end of the day! Not only is he well exercised and played with but is spoiled absolutely rotten, be it in the paddling pool for a cooling splash or in the doggie bedroom suite for a nice afternoon nap! 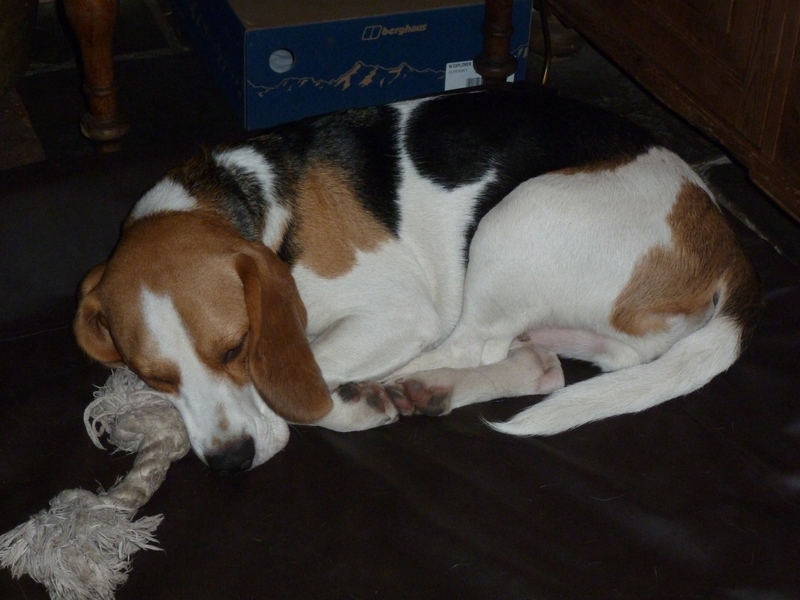 Hector's manners have also improved, thanks to Margaret's ongoing training, and walking and recall have much improved. Advice is also always readily available and as Hector is my first dog, its just fantastic having someone to ask about anything from grooming to nutrition. To be honest, I don't know how I would have managed without Margaret and Stuart - thank goodness Hector and I found them! Thank you again for looking after our young guinea pigs, Betty and Shadow. We were able to relax and enjoy our holiday knowing that they were being well cared for in our own home. You had obviously gone above and beyond the call of duty, purchasing additional food to keep their diet varied, and this was appreciated. The fact that you kept in touch by text helped to reassure our children too. We will definitely be recommending your services to friends and neighbours - indeed we already have! Some years ago, after much soul searching we took the plunge and booked our holiday, reluctantly leaving our dog in kennels for the first time. Very shortly afterwards, we received a call saying she wasn't settling. Right away, we contacted Margaret from Ayrshire Dog Care who immediately picked her up and took her home where she settled in immediately.Ever since then, any time we go away, she goes to Ayrshire Dog Care and we have peace of mind knowing that she is being extremely well looked after and having great fun! When our work commitments changed and we had to work longer hours a couple of days a week, our first thought was for our dogs, Theo and Ava. We knew there was no way we could or would leave them all day so we started the search for a reliable company who could look after them . Through recommendation, we found Ayrshire Dog Care and our dogs have never looked back. Margaret comes to our home and spends time walking the dogs, playing with them and generally making a fuss of them! We receive a report after each visit, letting us know how the visit went and what the dogs got up to! We know that Margaret is 100% reliable and are able to relax knowing that Theo and Ava are receiving the care and attention they need. We were looking for someone to look after Zak, our Border Terrier, while we went on holiday, but didn’t want to put him in kennels. After much research we found Ayrshire Dog Care just outside Ayr, and contacted Margaret and Stuart, the owners. We knew immediately that they were the right people to care for Zak - they were so friendly and understood our fears about leaving him for the first time. Zak loved them right away! 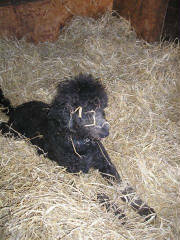 We did have some trepidation when the day came to take him to Margaret and Stuart’s home but we need not have worried. While we were away, we received daily texts letting us know how he was doing. When the time came to pick him up, we were more excited than him - he hardly gave us a second glance! He had settled in so well and it was very obvious he had thoroughly enjoyed himself. Zak has stayed with Margaret and Stuart many times since and although we live in Glasgow, and there are places nearer, we would never dream of him staying anywhere else. 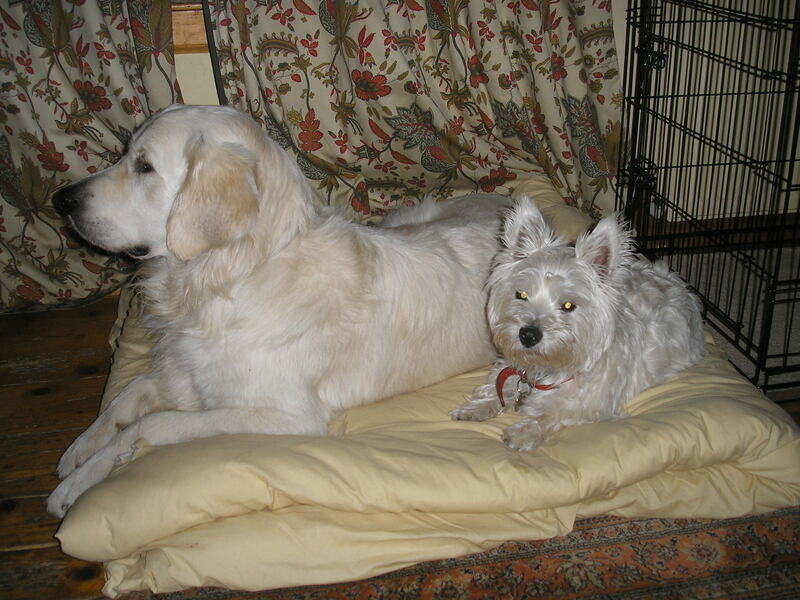 Work commitments had forced us to reluctantly search out dog care for our wee Westie, Daisy. From the very first chat with Margaret, I knew that she was someone very special and quickly realised that she would give Daisy the same love and affection we do! Daisy has made loads of new friends (including the horses!) and has decided that Margaret and Stuart's house is her second home. She often boards overnight and Margaret ensures she gets all her home comforts and cuddles during her sleepovers, so much so that Daisy is often reluctant lo leave! Margaret is wonderful and has often accommodated Daisy at very short notice (again due to work); Margaret and Stuart pamper her as if she is their own dog and we would never dream of Daisy staying anywhere else now. 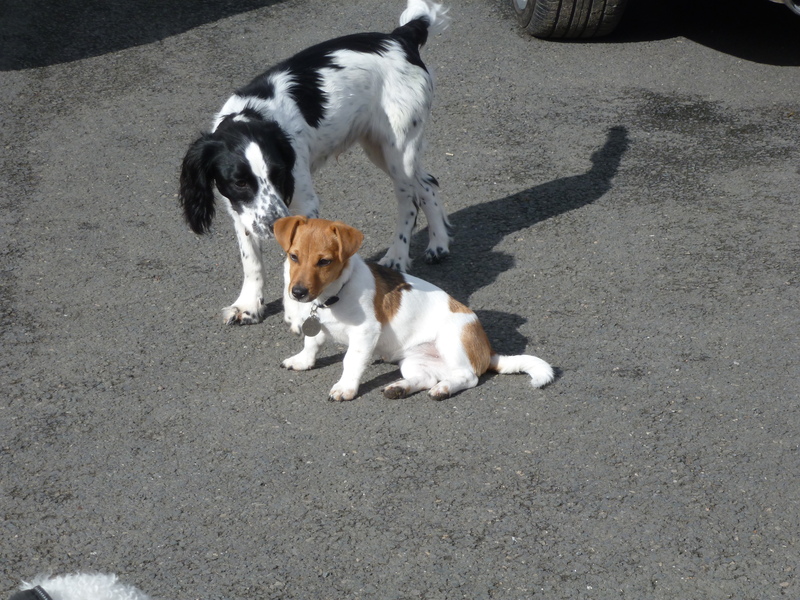 Daisy enjoys the socialisation and free play as well as doggie work outs in the paddling pool and the agility course. The dogs have as much fun together as toddlers do in nursery - they are so entertaining! We have sung Margaret's praises to family and friends and cannot recommend highly enough the service offered. If you're searching for a home from home for your pets, then arrange a visit to Muirburn and see for yourself.